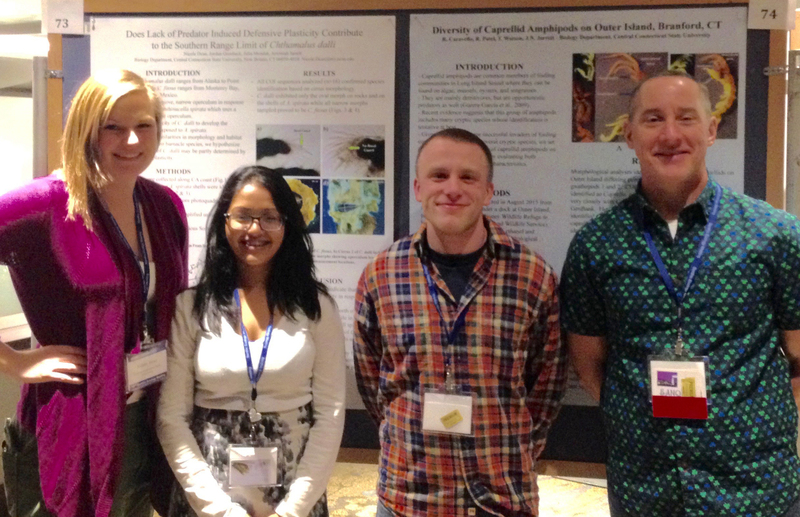 Nicole Dean, Rutvi Patel, Jordan Gronback, and Dr. J at the 2016 Benthic Ecology Meeting in Portland, Maine. 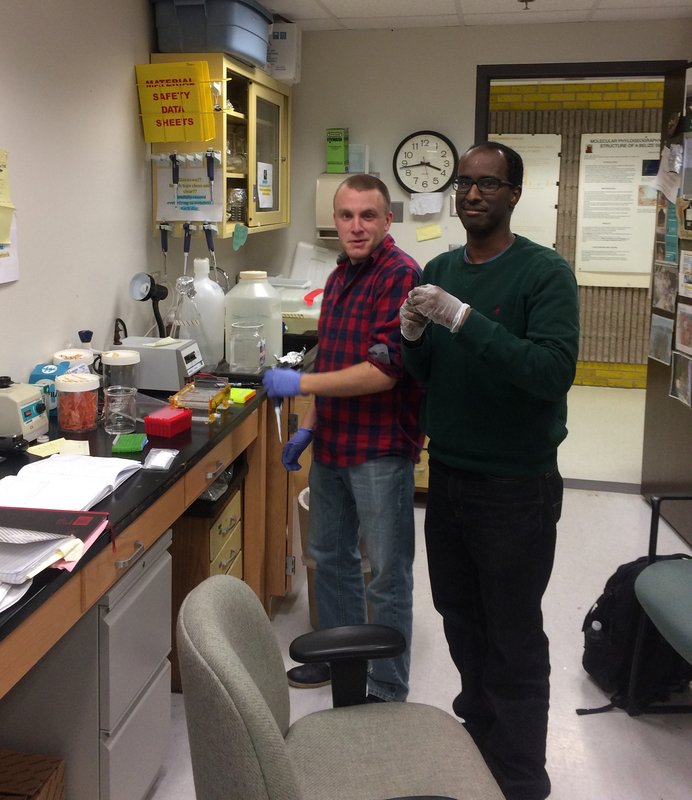 Jordan Gronback and Adan Isa - wearing gloves and checking for good PCR product!!! Alex Manos and Jennifer Oscarson - Fall 2016 Independent Study Project. 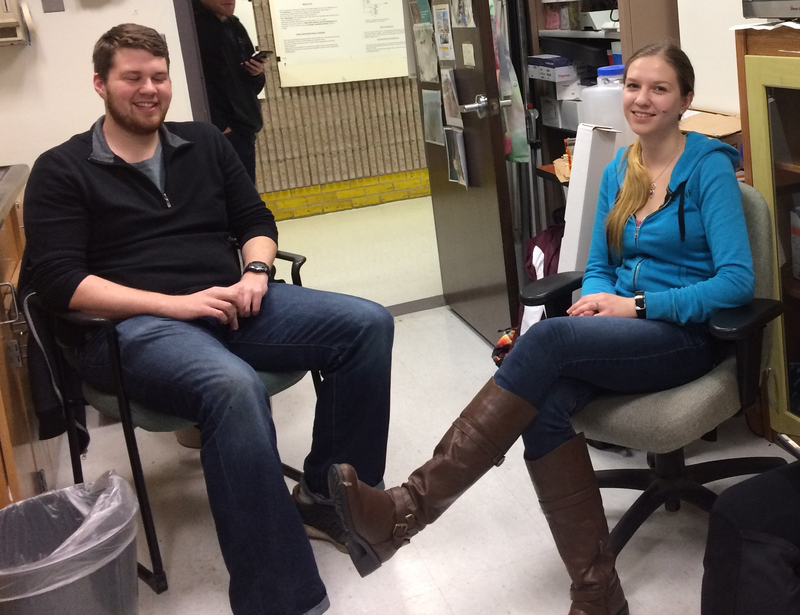 Jennifer has just been accepted to the Pharmacy program at the University of Saint Joseph in Hartford, CT! Way to go Jennifer! !